The need for great class teachers and private instructors in Chinese Internal Martial Arts of Tai Chi (Taijiquan), Ba Gua Zhang, Xing Yi Quan, and Qi Gong is very quickly expanding worldwide. We, at Wu Tang PCA, a 37 years of reputable school, offering this special training program for whoever wanted to be outstanding instructors. How Can I pursuing to be in Instructor? Passion for the arts, take classes or private lessons, practice regularly, and willing to teach! Everybody is eligible through studying internal martial arts & Qi Gong to become an instructor. Student who study internal martial arts and Qi Gong through Wu Tang PCA’s group classes, private lessons, or workshops in the US. or where ever else they are taught. Obtain true skills of internal martial arts or Qi Gong as well as ability of teaching. ♦ Classical Cheng Style Ba Gua Zhang System. ♦ Xing Yi Quan System. ♦ Qi Gong for Women (Instructor and Senior Instructor). ♦ The Eight Pieces of Brocade. ♦ The Five Animal Frolics. 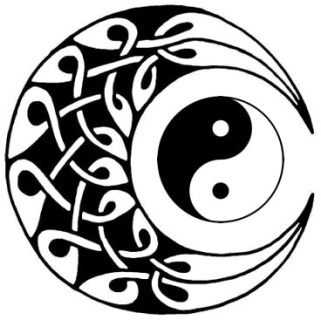 ♦ The Three Treasures Chinese Medical Qi Gong. ♦ Taoist Nurturing life Qi Gong "Turtle & Snake". Perform the subject of the art with flow and explain the major functions/martial applications and benefits of the arts. Written Test:Answering questions on techniques and teachings. Options: All test can be done via Skype & email. A test with a $200 fee will be scheduled by an appointment; at the location of the Wu Tang PCA studio or any other location with Master Frank Allen and/or Tina Zhang present at the test. All certified instructors are eligible for teaching their classes, workshops, and private lessons anywhere around the world! May more people become Instructors and pass-on these wonderful arts! Our program is affordable and with flexible schedules to fit anyone’s lifestyle. You can start anytime!!! Simply join us in classes, workshops, or private lessons in our New York Studio, and/or elsewhere intensive training that they are taught, or Skype lessons. The program makes every single class counts. Along the training for your own benefits, you also can become an awesome instructor who makes it better ride on journey of life for others! 1. Taking Qi Gong classes, and chose one of our Qi Gong topics (for instance: The Eight Pieces of Brocade) to be certified. 2. Price: $900 (Payment plan available). A 150-hour Northern Wu Style Taijiquan (Tai Chi) Certification - Traditional form. 1. Taking Tai Chi classes. 2. Price: $2800 (Payment plan available). Please pay the testing fee upon schedule the test. Please register when you are ready to begin this wonderful journey!